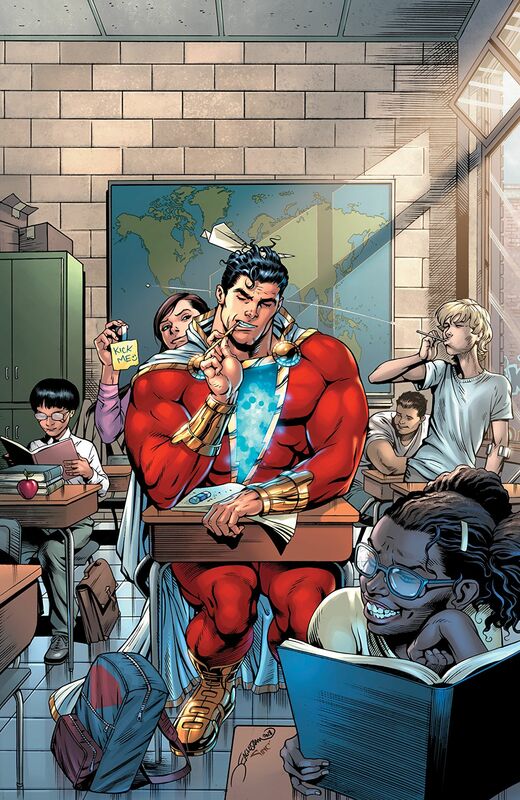 Inside Geoff Johns and Dale Eaglesham's Shazam! at NYCC 2018 – AiPT! The first Shazam! monthly title in the DC universe in almost 20 years kicks off next month. Everybody knows that Shazam! is coming to the big screen in April of next year, but every bit as exciting is the upcoming comic book series of the same name, hitting shelves next month. Johns said Shazam is one of his favorite characters to write, and this new series will continue the fun, light tone Johns’ previous Shazam! series presented back in 2011. Johns said at his spotlight panel at New York Comic Con this year that we will be “exploring a new corner of the magic universe that no one’s seen before.” “Magic is often presented as being dark,” he said. “There’s a lighter side to magic,” and Shazam! will explore that. With magic involved in the DC universe, that usually means Zatanna is sure to follow, and that’s the case with Shazam! Geoff Johns divulged that both Zatanna and Mr. Mind will be featured in the series. We’ll dive a lot more into the magic of Shazam as well. “Shazam’s powers are kind of a rolodex — even he doesn’t know what he can do,” Johns explained. The series will go into way more depth the magic that powers him and his capabilities. Artwork was shown from the first issue, showing Shazam at the Rock of Eternity. “We’ll start to understand what all those thrones mean,” explained Johns. With the comic being released amidst hype for the movie, fans may be wondering if the two will have anything to do with one another. Johns explained that they will have a very similar feel and feel like part of the same universe. “It will almost feel like the sequel to the movie — it picks right back up” from where the movie leaves off, said Johns. The goal is to provide supplemental reading for fans of the movies to pick up if they become interested in the character.